Who envisions a throat slit crescentic to a curving world, all its ephemera owned by one of the most famous cocaine dealers in Latin America? El Don is a television series inspired by the life of notorious Chilean gangster known as 'El Cabro Carrera.' 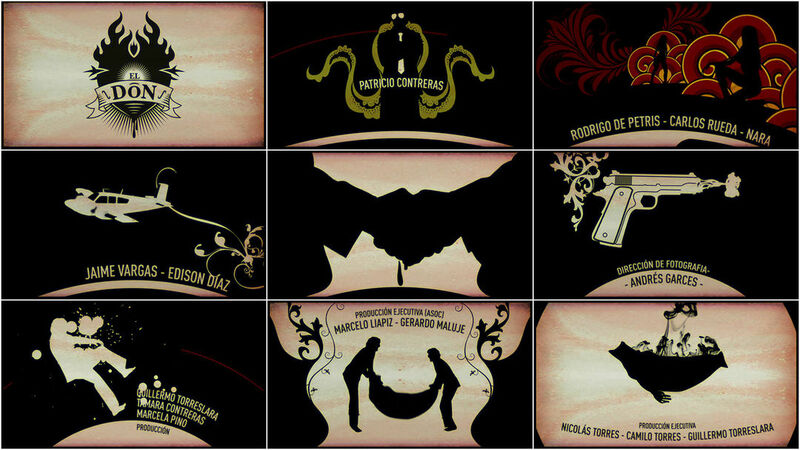 The creation of the title sequence required a marked visual identity for the series. We took cutthroat cues from the wild west and James Bond and the entire project took us three weeks. Cutthroat indeed. Blood flows, drips, is fired from a gun (in one example the splatter is wonderfully conceptualized as an entry wound), saturates sultry backdrops, is squeezed from a handshake, and seeps from a not-quite-dead body before it explodes and finally, blots the frame.